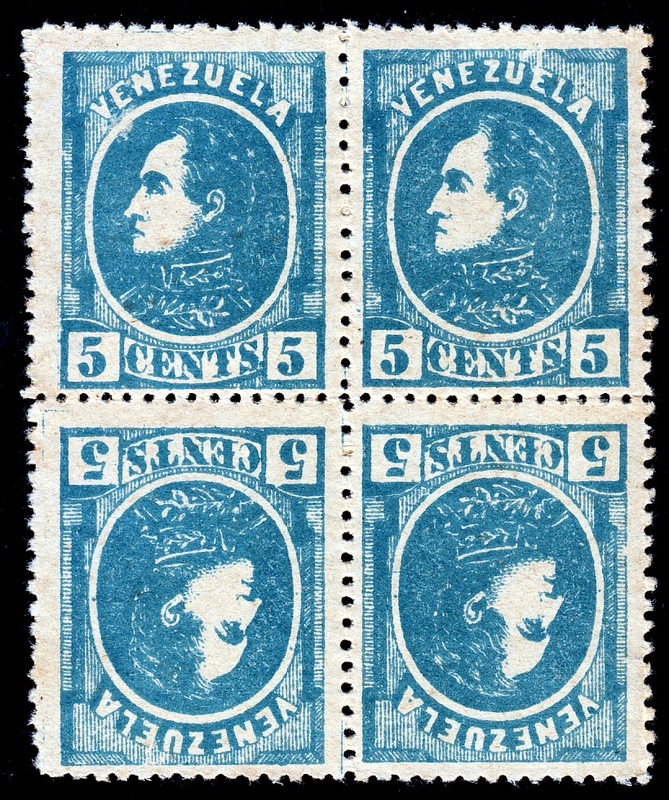 Faked and forged stamps have been printed for most of the world’s stamp issuing entities and not least in Latin America which certainly has its fair share of imposters. 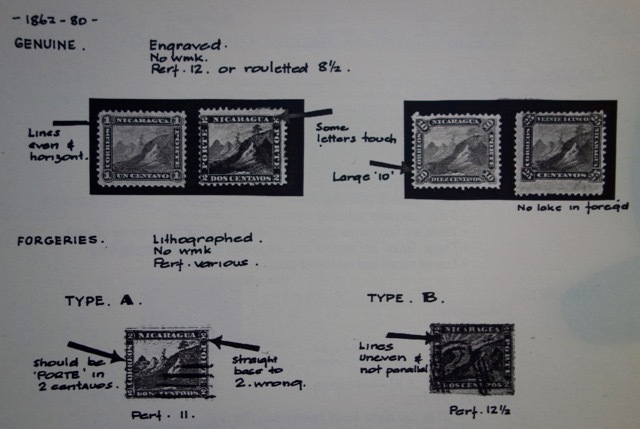 Many early stamps were lithographed using unwatermarked paper which made life fairly straightforward for the determined classical forger. Without the safeguards of having to go to the expense of engraving a forgery or obtaining watermarked paper, the opportunity for replicating a genuine issue was made that much easier. That said, there are forgeries and there are forgeries. Some are so easy to spot or so crude that the briefest of glances will confirm that they are not what they purport. Similarly, there are those that are acknowledged as ‘dangerous’ and will need a sharp eye and a loupe to identify them from the real thing. Some take the view that these stamps are nothing but a curse, an accident waiting to happen as you unwittingly spend your precious funds on worthless junk at some long-dead forger’s expense. Or as I prefer, an ongoing challenge to separate the wheat from the chaff and to identify the frauds from the Real McCoys. 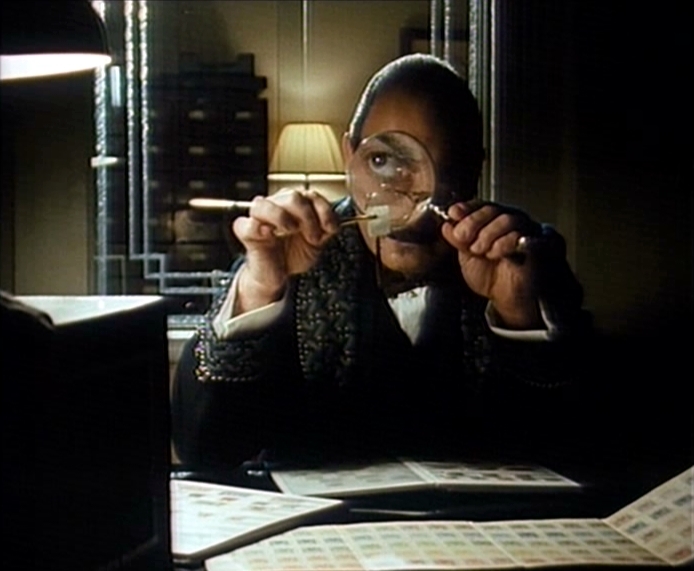 But it can also be a lot of fun as you turn detective, adopt the mantle as the Hercule Poirot of philately and uncover the rogues. And for the savvy collector, there are bargains to be had amongst the online bazaars of eBay, Hipstamp and Delcampe. The very first step is to understand whether the issue you are interested in has been faked or forged in the first place. You may be surprised to find out just how many stamp issues have fallen victim to the forger, regardless of which country you are collecting. The major catalogues such as Scott are a good starting point in indicating that ‘counterfeits exist’ but they are in no way complete. The other surprise is that it isn’t just the more expensive high values that have been forged. Stamps that catalogue at less than a dollar have been targeted by forgers alongside their more valuable cousins. This extraordinarily useful dataset provides a brief overview of each issue that has been faked or forged in the past, together with a commentary as to where further information can be found. Not just Latin America mind: this thing covers the entire philatelic universe. It won’t tell you why or how an issue has been faked but it will point you in the right direction so that you can find out more. The Tedesco Index, or to give it its (very) full name, The Index of Literature in the English Language that describes Postal Stamp Forgeries, Fakes, Reprints, Fraudulent Markings and Other Obliterations, was last updated by Theodore Tedesco in 2014 and is published in all its 1000+ page glory by the American Philatelic Research Library. You can download a copy here: Tedesco Index (patience: it’s a large file). So you’ve found out that the stamp you are looking at may have been forged and you’ve been given pointers on where to find out more information. What next? There are a vast number of publications, journals and websites covering every aspect of philatelic skullduggery. Whichever issue you are looking at, the odds are someone has researched it, written about it and published information on it. The granddaddy of this genre is R.B. Earée’s Album Weeds, still giving reliable and relevant service from when it was first published in 1881. The third edition from 1906 is still high up on the list of key resources for any philatelic detective. However, if you were to just squeeze a couple of resources onto your philatelic bookcase, which books should you consider? 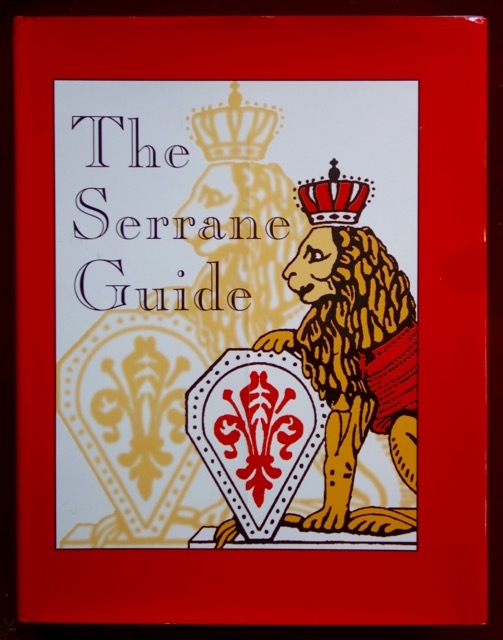 Firstly, The Serrane Guide. Originally published as a series of articles in the American Philatelist, it stretches to nearly four hundred pages of concise descriptions of fakes and forgeries from the classic period. Where it scores above Album Weeds is in a) the fact that the data it contains was published over twenty years later, thus capturing many more forgeries and b) that it is illustrated, making the task of identification that much easier. 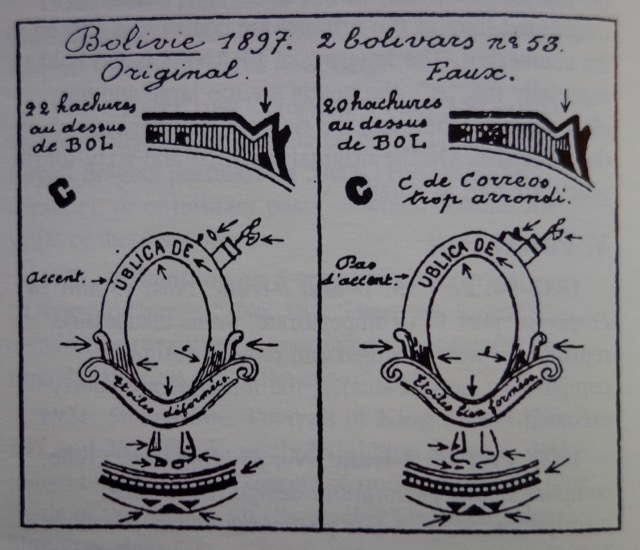 The other book I’d consider is H.Bynof-Smith’s Forged Postage Stamps of the Americas which is well illustrated and concentrates just on Latin America and the US. The Scott catalogue is also a useful accompaniment when using this resource. It isn’t foolproof but it does cover a decent chunk of Latin America in one sitting. Note that the Seranne Guide covers the entire world and likewise, the Bynof-Smith is the fifth volume of a worldwide series. Either will provide a valuable resource. Beyond these two books, there are any number of publications on forgeries that you may find useful, although most tend to focus on worldwide issues rather than Latin America in isolation. Varro Tylor’s work is worth looking out for. Online, a little Google activity will reveal numerous websites that will help you further your investigations. In many ways, these sites can easily be as valuable as the books, not least that large scale, full colour images of the false and the genuine can be presented side by side. www.stampforgeries.com is a good example of the genre but a little digging will reveal many more. And bear in mind that forgeries can certainly be collectable in their own right and can often be more scarce than the genuine article. In philately, there is no truer maxim than caveat emptor. A little study will help you go a long way in ensuring you are only adding the genuine article to your collection. You can read more about my views on identifying fakes and forgeries when buying online, here.